"That was it. That was all of it. A grace so ordinary there was no reason at all to remember it. Yet I have never across the forty years since it was spoken forgotten a single word." New Bremen, Minnesota, 1961. The Twins were playing their debut season, ice-cold root beers were selling out at the soda counter of Halderson's Drugstore, and Hot Stuff comic books were a mainstay on every barbershop magazine rack. It was a time of innocence and hope for a country with a new, young president. But for thirteen-year-old Frank Drum it was a grim summer in which death visited frequently and assumed many forms. Accident. Nature. Suicide. Murder. Frank begins the season preoccupied with the concerns of any teenage boy, but when tragedy unexpectedly strikes his family-- which includes his Methodist minister father; his passionate, artistic mother; Juilliard-bound older sister; and wise-beyond-his-years kid brother-- he finds himself thrust into an adult world full of secrets, lies, adultery, and betrayal, suddenly called upon to demonstrate a maturity and gumption beyond his years. 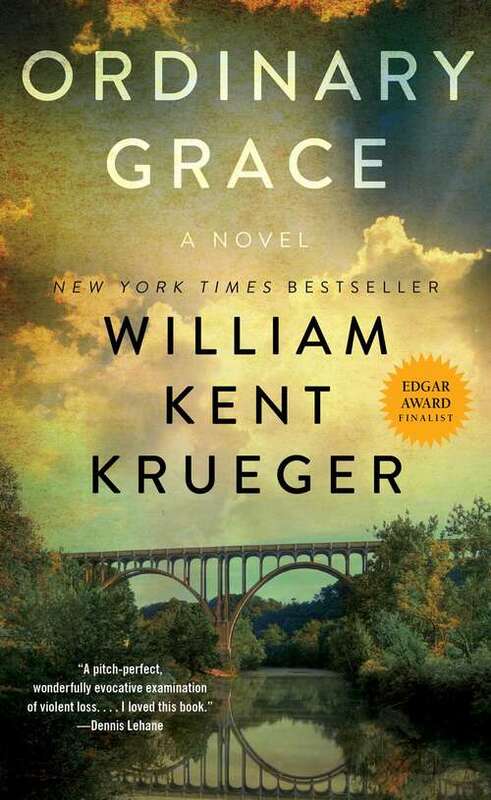 Told from Frank's perspective forty years after that fateful summer, Ordinary Grace is a brilliantly moving account of a boy standing at the door of his young manhood, trying to understand a world that seems to be falling apart around him. It is an unforgettable novel about discovering the terrible price of wisdom and the enduring grace of God.